We’d love your help. 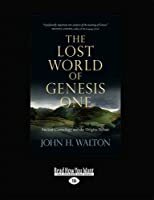 Let us know what’s wrong with this preview of The Lost World of Genesis One by John H. Walton. To ask other readers questions about The Lost World of Genesis One, please sign up. Do you think his acceptance of evolutionary theory in part drives his work? Mabel I don't think so. On page 170, he writes, "The interpretation set forth in this book arose out of my desire to fully understand the biblical text.…moreI don't think so. On page 170, he writes, "The interpretation set forth in this book arose out of my desire to fully understand the biblical text. Understanding evolution and its role is a much lower value." A great book on how to read Genesis 1. Walton argues that when we look at the ancient context we see that creation is Genesis 1 is not material, rather it is functional. In other words, though Christians believe God created the materials (the stuff), Genesis 1 is about how this stuff was given its functions (jobs). All sides in the debate on Genesis 1 are mistaken then, for they assume create is to create the materials when it actually is to give them function. From this he argues that Christians A great book on how to read Genesis 1. Walton argues that when we look at the ancient context we see that creation is Genesis 1 is not material, rather it is functional. In other words, though Christians believe God created the materials (the stuff), Genesis 1 is about how this stuff was given its functions (jobs). All sides in the debate on Genesis 1 are mistaken then, for they assume create is to create the materials when it actually is to give them function. From this he argues that Christians can accept any findings that science presents, as Genesis 1 says nothing about science. Science is metaphysically neutral; it has nothing to say about whether there is purpose (as in Christianity) or no purpose (naturalism). Walton challenges scientists to frown as much upon those who interpret the universe to be purposeless and teach this purposelessness in a science classroom as it already is to those who teach it has a purpose along with the Christian message. Scientists should discuss purpose, since life is not value neutral, but this discussion should take place in ethics and philosophy, outside of the science classroom. I had mixed feelings about this book, and am rather surprised it has been so favorably reviewed, actually. The author's big idea is that Genesis 1 is not actually an account of material origins, but rather an account of functional origins - it is an account of God giving functions to the pieces of the cosmos. (Walton doesn't deny that God is also responsible for the material creation of the universe, he just doesn't think that's what Genesis 1 is about.) He offers the analogy of a computer - whe I had mixed feelings about this book, and am rather surprised it has been so favorably reviewed, actually. The author's big idea is that Genesis 1 is not actually an account of material origins, but rather an account of functional origins - it is an account of God giving functions to the pieces of the cosmos. (Walton doesn't deny that God is also responsible for the material creation of the universe, he just doesn't think that's what Genesis 1 is about.) He offers the analogy of a computer - when might we say that a computer exists? At one end, you might say it exists as soon as the hardware components have all been assembled, even if no software has been installed and no one sits at the computer to use it - that is the way we modern people often think about creation. But you might instead say that the computer is nonfunctional and, for all intents and purposes, nonexistent, until it has been completely integrated into an ordered system, with the software, user, and everything else required for it to accomplish its reason for being. In Genesis 1, Walton says, the creation God is undertaking is the assigning of functions. One big benefit of this interpretation, if correct, is that it would mean Genesis 1 has absolutely nothing to say about the age of the Earth, evolution, the Big Bang, etc. - Christians are completely free to accept modern scientific findings and, at the same time, have complete confidence in the Biblical text. In support of this viewpoint, he examines the Hebrew words used (especially the word translated "create"), and also examines how other ancient cultures understood their own creation stories. He concludes the book by discussing what this interpretation means for current debates about topics like evolution and the teaching of Intelligent Design in public schools. But I have several problems with the book. 1. It is commonly said that if you think you're the first person in world history to correctly understand what the Bible is really trying to say, you're probably wrong. So where are all the Christians (and Jews) who have understood Genesis 1 in the same way as Walton? Especially because he isn't some theological liberal claiming that modern scientific findings should change our interpretation - in fact, you'd expect people closer in time (and thus closer in thought) to the original author should be more likely to share his understanding. So where are they? If such people do exist, not quoting them in the book was a serious oversight. If they don't exist, that's a problem. At one point he even says that his interpretation goes against the traditional understanding. 2. One chapter is largely devoted to looking at other examples of "create" in the Bible to show that the word is used functionally, not materially. But I just didn't find many of those examples convincing. It often seemed like the word could have been understood either way (or even both), just as we use our English word to describe both types of creation. 4. Walton also seems to think that we shouldn't expect to find modern science in Genesis 1 because the original audience certainly wouldn't have understood it. But we all know that the Biblical authors sometimes said things beyond their own understanding (the messianic prophecies, for example), so I didn't find that objection very valuable either. There are countless books arguing about evolution, creationism, and intelligent design. At first glance, The Lost World of Genesis One would seem to be one more addition to what is becoming a frivolous library. But upon more careful inspection, one would find that it is actually an original approach with a much different conclusion. John H. Walton approaches the first chapter of Genesis from a literary and historical context, rather than a scientific one. His idea is simple: read Genesis one thr There are countless books arguing about evolution, creationism, and intelligent design. At first glance, The Lost World of Genesis One would seem to be one more addition to what is becoming a frivolous library. But upon more careful inspection, one would find that it is actually an original approach with a much different conclusion. John H. Walton approaches the first chapter of Genesis from a literary and historical context, rather than a scientific one. His idea is simple: read Genesis one through the eyes of the audience it was intended for: the ancient Israelites. This involves an intricate understanding of the culture of ancient Israel. Walton says that the account described in Genesis one is actually a description of God forming a cosmic temple in which he will dwell, a literary device that was common in ancient Near East creation accounts. Walton's theory is that the creation account we know so well is not an account of material origins, but rather functional origins. Genesis one is describing God creating order out of chaos. It would have been assumed in the ancient world that God created everything material. It was important that the Israelites know that it was God(Yahweh) that gave order and function to all. Walton's book is a bit tedious to get through, but his ideas and thoughts are brilliant. The thinking he prescribes in his book causes a radical shift in attitude about numerous ideas. If one subscribes to them, there is no longer a need to argue over young earth/old earth or evolution. The Bible and science collude like no other theory. This is definitely a good read. The author is professor of Old Testament at Wheaton College and wrote the volume on Genesis in Zondervan's NIV Application Commentary series, as well as "Ancient Israelite Literature in Its Cultural Context" and "Ancient Near Eastern Thought and the Old Testament." This book is written for lay persons, pastors and science teachers who want "some stimulating ideas for thinking about the Bible, theology, faith and science." The purpose of the book is to "introduce the reader to a careful reconsider The author is professor of Old Testament at Wheaton College and wrote the volume on Genesis in Zondervan's NIV Application Commentary series, as well as "Ancient Israelite Literature in Its Cultural Context" and "Ancient Near Eastern Thought and the Old Testament." This book is written for lay persons, pastors and science teachers who want "some stimulating ideas for thinking about the Bible, theology, faith and science." The purpose of the book is to "introduce the reader to a careful reconsideration of the nature of Genesis 1." This book is organized around 18 relatively short chapters. Each chapter title is a proposition, e.g., Genesis 1 Is Ancient Cosmology, Ancient Cosmology Is Function Oriented, Divine Rest Is in a Temple, The Cosmos Is a Temple, The Seven Days of Genesis 1 Do Not Concern Material Origins, "Functional Cosmic Temple" Offers Face-Value Exegesis, Other Theories of Genesis 1 Either Go Too Far or Not Far Enough, The Difference Between Origin Accounts in Science and Scripture Is Metaphysical in Nature, God's Roles as Creator and Sustainer Are Less Different Than We Have Thought, and Resulting Theology in This View of Genesis 1 Is Stronger, Not Weaker. Each proposition is then defended. The propositions are organized so that the whole book flows very nicely. The main theme of the book is that Genesis 1 describes functional creation, rather than material creation, in that the days of Genesis 1 are seven 24-hour days of the inauguration of the functions of the cosmic temple. The author believes that the true literal translation is the translation that the Israelites understood. He suggests that "the Israelites were much more attuned to the functions of the cosmos than to the material of the cosmos," and that for them "something existed not by virtue of its material properties, but by virtue of its having a function in an ordered system." The author concludes with discussions of the impact of his functional view of Genesis 1 on our understanding of evolution, Intelligent Design, and public education. The main theme is an expansion of views that the author previously presented in his "The NIV Application Commentary: Genesis," (Zondervan, 2001), especially on pages 147-157 of that volume. Each chapter ends with a brief bibliography entitled "Technical Support." There is a final chapter of "Summary and Conclusions", a four-page FAQ, extensive Notes, and a brief subject Index. Certainly the best interpretation of Genesis One i've heard yet. Walton argues that Genesis One is meant to set forth the function of the creation rather than merely a materialistic account of how the world came to be. One of the main differences between the Hebrew creation story and other ancient creation stories, is that most other accounts show the world as being made for the gods and humans created to cater to the gods. The Hebrew creation account reveals a world that is meant to serve the n Certainly the best interpretation of Genesis One i've heard yet. Walton argues that Genesis One is meant to set forth the function of the creation rather than merely a materialistic account of how the world came to be. One of the main differences between the Hebrew creation story and other ancient creation stories, is that most other accounts show the world as being made for the gods and humans created to cater to the gods. The Hebrew creation account reveals a world that is meant to serve the needs of humanity and humanity is meant to be God's 'icon' upon the earth, carrying out creative and caring functions. The Hebrew God does not 'need' humanity, though humanity needs God. I currently am rereading this book. I have been awaiting this book for years. It should be required reading for every student at Seminary and Christian Colleges. Along with Enns, Walton is causing the Evangelical world to be a lot more honest about how we read the teאt. Summary: Walton argues from our knowledge of the ancient cultures in Israel’s context that Genesis 1 is a functional account of how the cosmos is being set up as God’s temple rather than an account of material origins. Some time back, I reviewed The Lost World of Adam and Eve, which is the sequel to this book. I thought it did one of the best jobs I’ve seen of showing how we must try to understand the book of Genesis as its recipients would have in their own cultural context, rather than trying t Summary: Walton argues from our knowledge of the ancient cultures in Israel’s context that Genesis 1 is a functional account of how the cosmos is being set up as God’s temple rather than an account of material origins. Some time back, I reviewed The Lost World of Adam and Eve, which is the sequel to this book. I thought it did one of the best jobs I’ve seen of showing how we must try to understand the book of Genesis as its recipients would have in their own cultural context, rather than trying to make it answer questions about origins in the light of the theories of Darwin and the evolutionary science that has developed over the last 150 years. I’ve always had the sense that we’ve been asking of the text of Genesis questions that neither the writer nor the inspiring Holy Spirit never intended to address. The question that remains is what does the early chapters of Genesis affirm? John H. Walton offers a strong argument that these were written out of a very different world view that was considering the cosmos not in terms of the causative factors in their material origins (although Walton is clear to attribute ultimate causation of and sustenance of the creation to God), but rather as an account of how God establishes the functions and places the functionaries in his cosmic temple over which he rules. Several insights were particularly helpful. One was his demonstration that the cultures of Israel’s day looked at the world in terms of functional rather than material origins. With the rise of modern science we see the world very differently and this results in some of our difficulties in reading the Genesis texts. Also, he explains the seventh day rest of God, which always has seemed anti-climactic to me as in fact the climax of this account as God enters and sits down, as it were, on the throne of his cosmic temple and begins his rule over what he has set in place. Finally, there is the important implication that because this is not an account of material origins their need be no conflict between Genesis 1 (and indeed the chapters that follow as he argues in his sequel) and scientific accounts of origins as long as science does not try to address teleological questions and conclude there is no God. Walton, a professor of Old Testament at Wheaton, contends that this reading of scripture that takes the cultural-historical context of Genesis seriously is in fact the most faithful to an evangelical doctrine of scripture. It does not start from the questions we want to ask, but asks what truths the text was affirming, first for its original readers, and only then for us. He argues that his approach can take the text at face value rather than needing to apply the hermeneutical gymnastics of those who try to reconcile Genesis and scientific accounts. The result is one that explains away neither scripture nor science. John Walton is one of the top evangelical scholars on the Old Testament, so I was very pleased to hear he had written a book on this subject. The book has very careful, respectful, orthodox scholarship and remains accessible due to the clear writing style and the book's format of 17 propositions each supported by a short chapter. I found his argument very compelling. Scripture never attempts to modify Israel's scientific understanding of the world: a flat world, the geocentric orbit of the sun, the intestines as the seat of the emotions, etc are assumed concepts in Scripture. As the view of divine creation in the entire ancient world was one of establishing function rather than material origins, we must not assume that Genesis 1 is necessarily correcting this understanding. In fact, the ancients' concept of existence was of fitting into an ordered, functional system, rather than being materially present. A central piece of our understanding of the passage, then, is of the the word "create," or bara in Hebrew. In order to have the most literal understanding here, we can't assume that the definition of bara lines up at all points with the English word. Rather, our source for understanding the word must be its usage elsewhere in the OT. The word is used about 50 times in the OT, often clearly used to indicate establishing function, but never unambiguously used to indicate material creation. This makes establishing function the closest, most conservative understanding of this concept. Thus Walton concludes that the (24-hour) days of creation was the period in which God established an ordered system, functioning as He intended. Walton also holds that God is responsible for the material origins of the cosmos, but that we are not told how or when God accomplished that. Genesis 1, then, gives account of three days of establishing functions followed by three days of installing functionaries. For example, the first day, we can consider God to be creating time, as he called forth a period of light as "day." This also solves the question of how day and night occur before the material creation of the sun. The first three days establish time, weather, and food--the foundational functions of life. Days 4-6 still have a functional orientation, but focus on the functionaries. For example, in day 4, God establishes the task of the lights, which is to provide light and mark off days, festivals, seasons, years. I won't summarize this part of the argument, but Walton demonstrates that Genesis 1 is a temple inauguration narrative, so all of the cosmos is God's temple and he takes up dwelling in it beginning on day seven. The basic premise of this book is that Genesis One is primarily about God and His Godhood, not earth and its materialhood. It is best served with a slice of Thomas Kuhn. Cue controversy. While the scientific, theological, and spiritual questions (to say the least historical and social), that are raised by Walton's brilliant and thorough interpretation of Genesis One are quite serious and problematic, they possess the virtue of being the right problems. I agree with Walton that, while recognizing The basic premise of this book is that Genesis One is primarily about God and His Godhood, not earth and its materialhood. It is best served with a slice of Thomas Kuhn. Cue controversy. While the scientific, theological, and spiritual questions (to say the least historical and social), that are raised by Walton's brilliant and thorough interpretation of Genesis One are quite serious and problematic, they possess the virtue of being the right problems. I agree with Walton that, while recognizing its difficulties, his reading of Genesis offers more strength and clarity to the issues of science, Scriptural inerrancy, origins, and the universe than any scientific interpretation yet presented. It steers us in the right direction. This is a book that demands approaching Scripture on its own terms and submitting to where it leads. We ought to reject its conclusions because we believe them incompatible with Scripture--not because we find the conclusions wildly uncomfortable. I think Walton could have improved matters by including a chapter to point out modern biases his readers in all likelihood introduce into this issue. We are a society that had a Scopes trial, the sensation of which has built the framework--especially in America--for how we think and talk and feel about evolution. From a politically-charged platform, Americans have been encouraged to think of evolution, if not outright atheistic, or worse, a cultivator of atheism, then as a threat to their religious and educational freedom. At least, that has been the narrative for many, many years. There is quite a load of historical baggage, and it is fair to point it out, and recognize what may be the root of much needless contrariness. Really, I am surprised at myself. I would not have believed the most reputable prophet if he told me I would, by the end of this book, a mere 167 pages, cease to fear the theory of biological evolution and an old universe--nay, to risk believing a bit--and to see a theological friend in science where before was a political enemy. I would have scoffed at the prophet, and even sworn upon the fortress of my heartfelt faith. Walton does not fail to point out that Christianity cannot accept the whole of contemporary Darwinism; he only suggests that there is more truth in it than formerly thought. Imagine an orthodox reconstruction of evolutionary theory...what a story! What a science! This was a fascinating look at Genesis from a perspective that I can most relate to: literary. The author's focus is on Genesis as an ancient text, written to a group of people living in a certain time, and the perspective (and language) that they would have understood, and the implications to us reading it millennia later. His premise that Genesis 1 is not actually an account of the material origin of the universe (not to say that God did not create the materials, but rather that this account is This was a fascinating look at Genesis from a perspective that I can most relate to: literary. The author's focus is on Genesis as an ancient text, written to a group of people living in a certain time, and the perspective (and language) that they would have understood, and the implications to us reading it millennia later. His premise that Genesis 1 is not actually an account of the material origin of the universe (not to say that God did not create the materials, but rather that this account is not talking about that) but rather the functional origins (the setting up of time, the formation of earth to meet the needs of man [created in God's image], weather patterns, etc) is an important distinction from the actual material creation of the cosmos, and in fact, he argues, lines up much better with the ancient world's thinking about the earth. It sets the account in its historical context, and the correct understanding of the ancient word "create," etc, to get the cultural understanding of how the ancients would have understood the text. In short, Genesis 1 does not argue for either a young or an old earth view.... it simply does not express an opinion one way or the other, because that's not what it cares about. The argument is compelling, opening up the world of science as we currently understand it, and Christianity to come together in harmony. Neither the way we currently understand the evolutionary process or the God of the Bible have to be in contradiction with one another. There is definitely more to be studied on this, but the prospect is incredibly eye-opening and gives room for growth and experience beyond what the debates to present have led us to believe. Very insightful. Wow. Wow! It's rare I find a book that lays out an argument in a clear, concise, and readable way; an argument that presents its points and its conclusions as a series of propositions. Walton's book on the first chapter of Genesis is a fascinating look into how our modern empirical scientific worldview causes many readers of Genesis to impose a material ontology onto a story concerned with functional ontology. From this, he looks at its teleological implications in our modern society. Walton come Wow. Wow! It's rare I find a book that lays out an argument in a clear, concise, and readable way; an argument that presents its points and its conclusions as a series of propositions. Walton's book on the first chapter of Genesis is a fascinating look into how our modern empirical scientific worldview causes many readers of Genesis to impose a material ontology onto a story concerned with functional ontology. From this, he looks at its teleological implications in our modern society. Walton comes to this conclusion through intense exegetical analysis, linguistic analysis, and attempting to understand the perspective of the author by looking at other creation myths from Babylonian, Sumerian, and Egyptian cultures. He analyzes both a polemical reading of Genesis 1 in contrast to its surrounding myths, as well as a teleological one. Like the other “Lost World” books, this is written in proposition format, which makes the arguments easy to follow. Walton is very clear, even on points where I disagree. There are some flaws in this work, but it is a valuable text. This shouldn’t be a controversial claim. The earth might be 6,000 years old, but there isn’t any underlying science that matches with Genesis 1. Ancient man wouldn’t have been as interested in Answers in Genesis as he would Like the other “Lost World” books, this is written in proposition format, which makes the arguments easy to follow. Walton is very clear, even on points where I disagree. There are some flaws in this work, but it is a valuable text. * How does God interact with the world? * Is there such a thing as a natural world? * Is the cosmos best seen as a machine, a set of material objects, a kingdom, a company? What does it mean to exist? A company’s existence is different from a chair’s (23). Walton contrasts a “material ontology” (e.g.,what constitutes a physical chair) with a “functional ontology” (e.g., what makes a business a business)? There is something to this, to be sure. Walton says we have focused too much on the material ontology of creation and not its functional ontology (25). For the ancient man something exists “by virtue of its having a function in an ordered system” (26). Of course, Walton is quick to point out that ancient man would have seen the material constituents of an object (or a universe). He argues that bara means to assign functions, rather than material constituents. He then lists about forty usages in the OT where most of the time it is giving a function to something (41). There is some payoff to his claim: if we read Gen. 1:1ff, we aren’t exactly dealing with a mathematical nothingness prior to the Big Bang singularity. The tohu is simply an unproductive void, rather than a zero-state void (48). Walton then lists 20 occurences where Tohu means unproductive, rather than non-existent. God calls the light “day” instead of just “light.” Why? Because he is giving a function to it. Further, reading the text functionally allows us to solve a potential problem in Day 2: the sky isn’t really solid (56). Rather, God is showing us that by a “firmament” in the sky, he is able to order the cosmic geography and keep the “cosmic waters,” always conoting danger, at bay. The firmament establishes cosmic order (57). Isn’t it strange that God doesn’t actually make anything on Day 3? He does assign functions, however. Walton: “On Day 1 God created the basis for time; day two the basis for weather; and day three the basis for food” (59). Reading the text this way solves the problem of why God created light before he created the sun. Here is where Walton’s “functional” argument is the strongest: the very point for why God created the sun/stars was to serve as signs for humans. Walton’s functionalism fits very well with the Sabbath. He notes, “In the ancient world rest is what results when a crisis has been resolved or when stablitiy has been achieved” (73). This makes sense. When the Bible says “King so-and-so had rest,” it didn’t mean no one in the kingdom did anything; only that he had peace and normal operations were able to function. God’s resting place is his temple (Ps. 132:7-8; 13-14). c) the cultural context is functional. e) of the seven days, three have no statement of creation of any material component (1, 3, and 7). f) Day 2 could be material, but then we are left believing in a material firmament in the sky. g) Days 4 and 6 have material components, but they are dealt with only on the functional level. He overloads the evidence favoring theistic evolution. He never engages in analysis with the strongest analysis from Intelligent Design theorists. He never notes the contrast that when ancient paganism saw creation as giving a function to an already existing object, and not creating ex nihilo, it is because in paganism (like today’s Neo-Atheism), matter is eternal and only needs some Demiurge (like the god of Freemasonry) to form it. He criticizes Intelligent Design for being “God of the gaps.” Precisely what, then, is theistic evolution? Find a gap in the fossil record? No problem. God providentially furthered evolution along. Anyway, guys like Stephen Meyer aren’t saying, “Must be a God after all.” What they are saying is that information, especially complex information, points to an Intelligence. He rebuts Behe’s argument of “irreducible complexity” by noting the eye’s structural blind spot. Stephen C. Meyer, however, blows that out of the water: ““There’s an important physiological reason as to why the retina has to be inverted in the eye,” he said. “Within the overall design of the system, it’s a tradeoff that allows the eye to process the vast amount of oxygen it needs in vertebrates. Yes, this creates a slight blind spot, but that’s not a problem because people have two eyes and the two blind spots don’t overlap. Actually,the eye is an incredible design” (quoted in Strobel, Case for a Creator, 87). 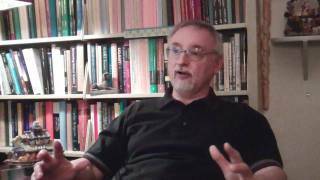 His stuff on naturalism isn’t wrong per se, and there is a difference between methodological naturalism and metaphysical naturalism, but he often ends up just using the term naturalism. He is also rather naive on the courts’ past rulings. Yes, it is true that science pretends not to make any judgment on God, but that is precisely what science then makes statements on what God does and doesn’t do in the physical realm. 5a. Further, Walton isn’t clear on what recent rulings constitute valid science: anything falsifiable, empirical, and validated by the scientific method. Yet Walton never mentions this nor mentions the huge defeaters to this line of thinking: e.g., evolution isn’t testable by the scientific method, sometimes models for science determine the evidence, sometimes the evidence the models. A superb book! Walton's premise is that to correctly interpret the first chapter of Genesis, one must read it within the context of the time and culture in which and for which it was written. The conclusion is that there really is no conflict between modern science (evolution, old earth, etc) and evangelical Christian faith as long as the underlying metaphysical assumptions are properly considered. I can't recommend this book highly enough. I wish I had read it 15 years ago! This book is an eye opening look at Genesis 1. Walton asserts that we have engaged in "cultural imperialism" by lifting Genesis 1 out of its native context and moving it into our own context. In doing so, we have inadvertently translated the Hebrew culture into our own framework. Instead, by entering the culture of the ancient Israelites, he sheds uncovers new principles by which to view the verses: 1. The focus of Genesis 1 is not on material creation, but functional creation; 2. Genesis 1 is n This book is an eye opening look at Genesis 1. Walton asserts that we have engaged in "cultural imperialism" by lifting Genesis 1 out of its native context and moving it into our own context. In doing so, we have inadvertently translated the Hebrew culture into our own framework. Instead, by entering the culture of the ancient Israelites, he sheds uncovers new principles by which to view the verses: 1. The focus of Genesis 1 is not on material creation, but functional creation; 2. Genesis 1 is not focused on the mechanism of creation, but rather the purpose of creation; 3. Genesis 1:1 is a functional summary statement of the entire chapter, rather than a declaration of God's initial act of creation. So per Walton, if Genesis 1 is focused on purpose not mechanism, and science is focused on mechanism not purpose, then the ensuing division between religion and science, whether through Evolution, Creationism, ID, or Old Earth Creationism, has been both unfortunate and unnecessary. Finally got around to reading this little book. As a person with a fair bit of training in biblical literature I was jazzed up at the idea of exploring the "world of Genesis 1," which I was thinking of as the larger religio-/mythico-/sociological views and ideas of ancient cultures of the Near East and how the vision of Genesis 1 might be interacting with those. This book is not that, however, although Walton touches on those issues. Rather, it is a concise treatise organized around propositions Finally got around to reading this little book. As a person with a fair bit of training in biblical literature I was jazzed up at the idea of exploring the "world of Genesis 1," which I was thinking of as the larger religio-/mythico-/sociological views and ideas of ancient cultures of the Near East and how the vision of Genesis 1 might be interacting with those. This book is not that, however, although Walton touches on those issues. Rather, it is a concise treatise organized around propositions that readers with no technical training might easily digest. As a corrective aimed at popular misunderstandings of Genesis resulting from a materialist worldview of the post-Enlightenment era, I warmly welcome this book and commend it to all Christians, whether they care about the current discussions on origins or not. If you honestly want to know what the Bible says about origins, you should of course read the Bible, but read this book too, because if you were born in the last 500 years, I guarantee that you are reading the Bible with a set of lenses so close to your eyes and so unnoticeable that I'm tempted to call them intellectual 'contacts,' and they result in readings that are far off the mark the original authors intended. The central idea of the book is that the first creation story is concerned with the functional origins of the universe, rather than its materialistic origins, and that all of creation is presented in Genesis 1 as a "cosmic temple" in which God ultimately takes his rest (i.e., assumes residence and functional control). The assumption that God created the 'material' of creation of course pervades the entire canon of biblical literature, and the author does not dispute that. He rightfully focuses, however, upon the assumptions we bring to the text when we read it—i.e., that this account is focused on material origins, rather than something else. I think he rightfully argues that the ancient mindset generally was concerned with the functions of the parts of the created order, more so than the physical (in a scientific sense) nature of things. As the products of our cultural milieu, we Christians and non-Christians alike are trapped in a naturalist view of the world—the physical realities (uncoverable and discoverable by the methods of modern science, of course) are the only realities. The idea of purpose in a philosophical sense is not even considered. This philosophical question of "teleology" has no place in any scientific questioning, because it is beyond proof or disproof (something good scientists should always keep in mind, especially when considering the social and moral impacts of their study). The one thing I consistently ask of anyone who wants to discuss Genesis 1 is to please be aware that you are reading the text in a cultural and intellectual state that is far removed from the one in which it is written. This fact alone should provide skeptic and believer alike a healthy dose of humility as they try to understand what is being communicated in Genesis 1. I believe Walton does a reasonably good job overall of helping the non-specialist get an idea of what is going on in the text, and of highlighting the fallacious assumptions we naturally make when reading it. Although I appreciate his discussion of the Hebrew verb 'bara' ('create'), I think the consensus among scholars and translators has yet to shift toward the sense Walton thinks this enigmatic word actually conveys. He does an excellent job of convincingly demonstrating the functional initiation of each of the entities in Genesis 1, though. His discussion of the seventh day, along with God's "rest," are also illuminating. The argument that Genesis 1 is a recounting of the erection of God's cosmic temple and his "taking the helm" is also well made, in my opinion. Walton's discussion of teleology and dysteleology is also helpful, and an important reminder of what the proper bounds of science, according to its own self-description, are. Science may not properly address metaphysical issues of purpose and no-purpose, and scientists are often woefully ill-equipped to do so, in my opinion. Those who promote a "dysteleological" view of the universe do not do so as scientists, but as philosophers, regardless of whatever degree they've earned. This is important to remember when thinking about education, which Walton also discusses. This is a book that every evangelical interested in issues surrounding Genesis 1 should read. It is also a book that every evangelical who thinks they have no issues surrounding Genesis 1 should read. And it is a book that every non-evangelical should read to make clear that evangelical scholarship on Genesis 1 is not entirely mired in simplistic fundamentalism. I wish this book had a different title. It sounds like either Walton is offering some sort of esoteric knowledge or a map to Atlantis. T This is a book that every evangelical interested in issues surrounding Genesis 1 should read. It is also a book that every evangelical who thinks they have no issues surrounding Genesis 1 should read. And it is a book that every non-evangelical should read to make clear that evangelical scholarship on Genesis 1 is not entirely mired in simplistic fundamentalism. I wish this book had a different title. It sounds like either Walton is offering some sort of esoteric knowledge or a map to Atlantis. This book is neither. Walton's principle thesis is that for the most part Genesis 1 has been read with the wrong pair for glasses. Once the chapter is read the way the original readers would have read it, then the fighting and controversy over things like Young Earth Creationism vs. Evolution may not go away, but they have to find a different playing field. Walton makes a clear case that Genesis 1 is not about material creation, since that is not something that would have been of consequence to the ancient Hebrews. Rather it is about functional creation - how the stuff that exists is controlled and managed and for what purpose. Walton does this short, accessible chapters, so it's not a book for scholars, but rather for anyone. Walton does have a scholarly treatise covering this material on a much more intensive and erudite level, Genesis 1 as Ancient Cosmology. 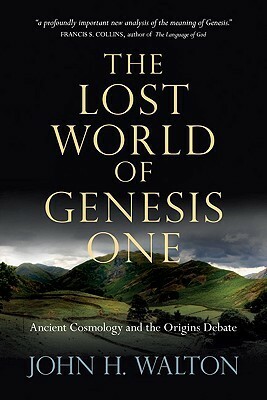 Walton sees Genesis 1 as the story of God building a cosmic temple, something that the first readers of the Genesis account would have easily and naturally understood. In other words, unlike the polytheistic cultures around them and their creation stories about violent conflicts between the gods, the Genesis story is about the one God in control of everything, who does everything for His purpose. He also notes the great contrast between other ancient creation stories and the biblical account in the creation of humanity. Walton's book has a second purpose beyond making the case of a functional creation model. He addresses head on what this means for the debate with regard to material origins and how this subject is taught either cosmologically or biologically. He believes that Genesis and the Bible are concerned with function and not material origin, questions of purpose should be separated from questions of material origin. Science should do science's job, which is to explain empirical data. As Walton says in the final chapter: The concern of this book is neither to tell scientists how they should or should not do science, nor to determine what scientific conclusions are right or wrong. It should be noted that this book is not promoting evolution. (p. 164). Walton promotes a literally reading of Genesis as it was literally read by its original readers. John Walton's main idea is that God never intended Genesis chapter 1 to communicate anything at all about the material origins of the universe. Instead, it's more a ceremony of temple inauguration in which God claimed the universe as his dwelling and sacred meeting place with man. Walton starts in proposition 2 by sowing confusion about what "existence" would mean to ancient peoples, then builds his case from there. But Genesis never uses the word "existence". Author assumes too m Not convinced. Author assumes too much. And in some chapters he spends more time denying what the Bible says than observing what it does say. He claims early in the book that all of us who interpret Genesis 1 as about the material origins of the universe are really just prisoners of our worldview, implying that we are indebted to him (who, we are to accept, is not a prisoner of his worldview) to free the rest of us from our misconceptions. Oddly enough, Walton insists the "days" are literal 24-hour days. But in the end, this is inconsequential, because nothing physical actually happened on those days according to his interpretation. He suggests that in Genesis 1 "bara", Hebrew for "create", does not mean bringing something material into being, but instead means taking something already in existence and ascribing function to it. What he ignores however, are the several other verbs that seem very oriented to materials; words such as separate, form, made, gathered, appear, sprout, yield, swarm, bring forth, etc. I only read the first few chapters carefully, and once I had the gist of it, I'd read enough to predict his thought and lose interest. I dipped in a few places in other chapters, but there was no further defense of his thesis. Merely outworking of it. Probably the most stimulating book I have read in the last 10 years. I have given it 5 stars for that reason (not because it is perfect). Any book that really pushes you to search the Scriptures is worth reading and pondering more then once. Essential illumination of Genesis one's purpose. Professor Walton teaches the Old Testament at Wheaton College and takes a crack at explaining an ancient book to the modern reader. 1. Genesis is an ancient text written for a people different than ours. We subconsciously read meaning into areas that aren't there, and miss things that are there. Not because we're bad, but because we're not ancient Israelites. 2. The creation depicted in Genesis one is probably meant to be read as creating "function" not " Professor Walton teaches the Old Testament at Wheaton College and takes a crack at explaining an ancient book to the modern reader. 2. The creation depicted in Genesis one is probably meant to be read as creating "function" not "material." I've always assumed that because Genesis One uses the word "create" that it meant creating stuff like in a factory. Taking elements, materials and putting together a planet, the stars, etc. Creating meant something different anciently. It meant to provide a function. The example used in the book is creating a company. When do you say that you're "done" creating a company? When the state entity filings are complete? When you have a product? Sell the first product? Hire employees? Creating a company doesn't necessarily imply physical creating, like you would a table or chair. This book's claim is that the creation narrative describes creating a function, rather than a physical object. 3. Many of the conclusions we draw about Genesis 1 are products of our environment as modern readers. We assume things and read things into the text because of our modern perspective, that weren't meant to be there in the first place. The subtitle of the book is "ancient cosmology and the origins debate." The author makes a plausible case for why we should relax a little bit on drawing conclusions about the perceived inconsistencies of science and religion that come from reading the Bible and going to the latest evolutionary biology lecture. At 120-ish pages, this book took me a good month and a half to get through. It's dense, and the author is definitely cut from an academic writing cloth. There are flashes of normal-person language in there, but they are the exception. I wish that I could rate the first and second halves of this book separately. In his first half, Walton explains how Genesis 1 should be read in light of a functional ontology vs a material ontology. He references other Scriptures as well as other ANE literature to prove his point. He then examines the 7th day, and the ANE understanding of "rest." He concludes by calling his view the "Cosmic Temple Inauguration View" of Genesis 1. What I enjoyed about this view is that, while it takes the authori I wish that I could rate the first and second halves of this book separately. In his first half, Walton explains how Genesis 1 should be read in light of a functional ontology vs a material ontology. He references other Scriptures as well as other ANE literature to prove his point. He then examines the 7th day, and the ANE understanding of "rest." He concludes by calling his view the "Cosmic Temple Inauguration View" of Genesis 1. What I enjoyed about this view is that, while it takes the authorial intent of Genesis 1 seriously, it can also be synthesized with a 7-day view of creation. Walton argues that Genesis 1 does not describe the material origins of the universe, but rather, what he calls, the functional meaning of the creation as the cosmic temple of God. The question remains whether one cannot combine both of these views successfully, which is what James B Jordan aims to do in his book on the six days. I gave this four stars, even though I’m not committed to his view of origins, because there was so much good material in the book. The conclusion on how these matters sh Walton argues that Genesis 1 does not describe the material origins of the universe, but rather, what he calls, the functional meaning of the creation as the cosmic temple of God. The question remains whether one cannot combine both of these views successfully, which is what James B Jordan aims to do in his book on the six days. I gave this four stars, even though I’m not committed to his view of origins, because there was so much good material in the book. John H. Walton (PhD, Hebrew Union College) is professor of Old Testament at Wheaton College Graduate School. He is the author or coauthor of several books, including Chronological and Background Charts of the Old Testament; Ancient Israelite Literature in Its Cultural Context; Covenant: God’s Purpose, God’s Plan; The IVP Bible Background Commentary: Old Testament; and A Survey of the Old Testament John H. Walton (PhD, Hebrew Union College) is professor of Old Testament at Wheaton College Graduate School. He is the author or coauthor of several books, including Chronological and Background Charts of the Old Testament; Ancient Israelite Literature in Its Cultural Context; Covenant: God’s Purpose, God’s Plan; The IVP Bible Background Commentary: Old Testament; and A Survey of the Old Testament.